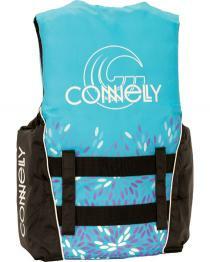 The 2019 Connelly Girls Teen Nylon Life Vest is a scaled down 3 buckle vest that includes many of the same features as our adult product line. Lightweight, durable foam contours to your body and promotes comfort. 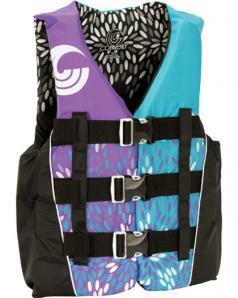 This 3 belt vest features hidden straps that encourage mobility and quick release buckles for fine tuning the fit. weight range of 90-120 lbs, chest size 28" to 32"